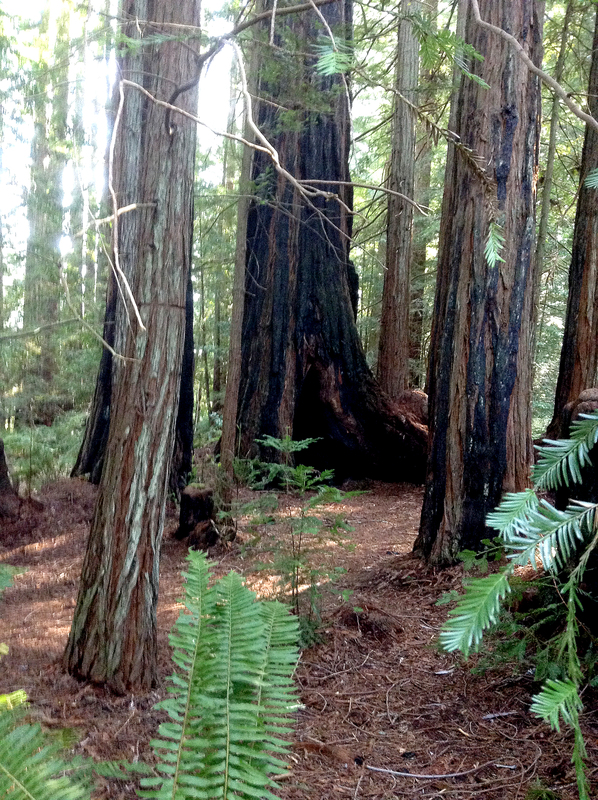 I got to spend a little time in the remnants of the temperate rain forest that once covered my homeland. The presence of the trees was immense. We had come as Druids, to pass one of our own between us. My southern group had chosen to make the trek to the northern group and they gave us a place beyond any expectations to do our rite. It was a one way journey, as good adventures are. Whether you intend to return to a particular spot or not, chances are you won’t be doing it. 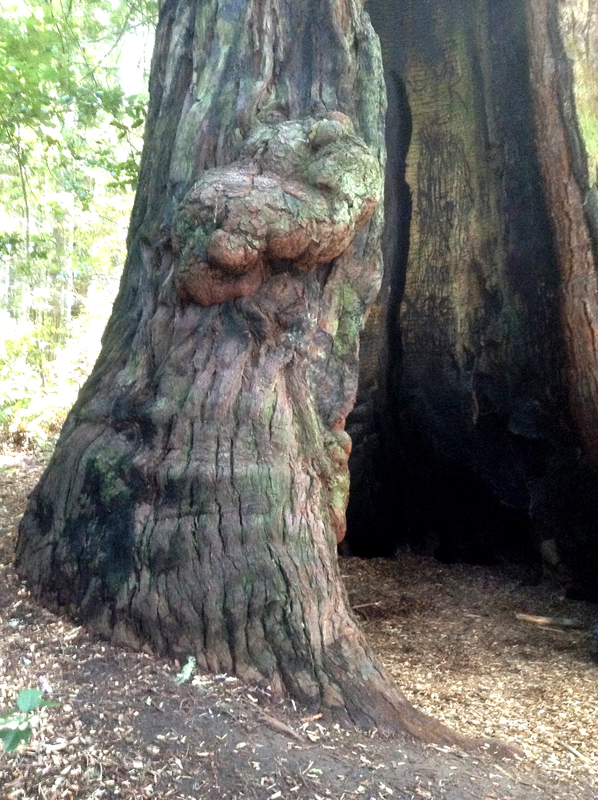 On our walk around the place we stopped at an immense old growth redwood, hollowed by time and fire. It was large enough that all eight of us could fit inside. We sang cascading Awens in there, the space a gigantic resonator. I know that this huge silence, these gigantic trees, were once the way this coast was, but I’m still surprised by it every time I come within it. There’s something in it that is part of me even though I’ve always lived in the heart of the city. Given a chance, I would build my city within it, or a city that will not be seen for centuries as the big trees grow. 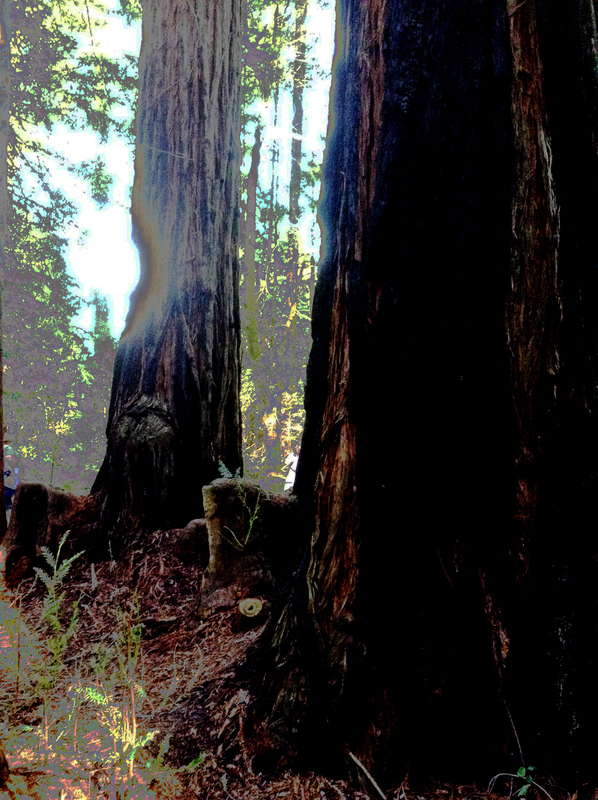 There are redwoods in the center of 14th Avenue, and they dot my city in ones and twos. They are always eager to grow, throwing off green shoots from their large burls wherever the sun shines steadily on them. They remember what they could be, what they are in places like the one I was in on Sunday. 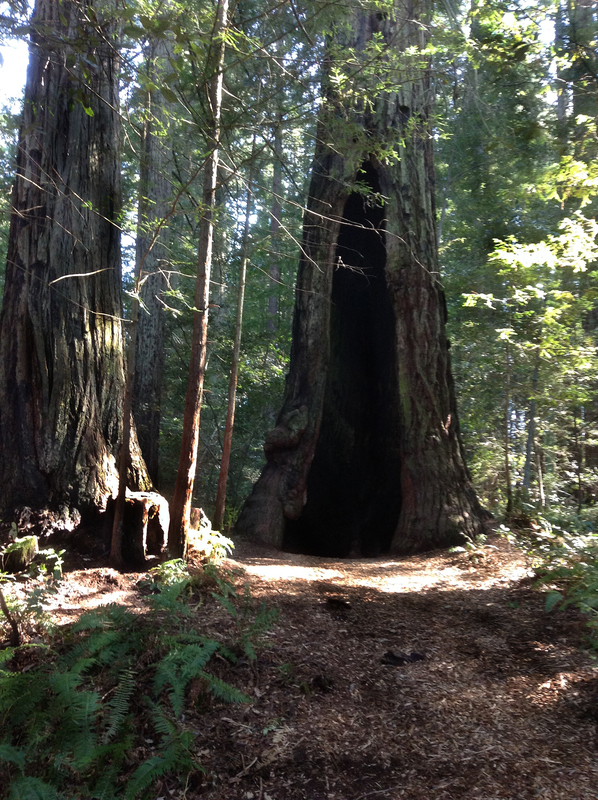 This forest is mainly young trees, but there are venerable elders there, guiding the younger trees into the form they might become, if allowed to. Will we be here to see them, if they do? And the Grove is there because local folks pitched in to save it. Community in action. (it’s near where I live) Glad you’ve been introduced! Lovely place, and I knew we were close to you, just not exactly where. 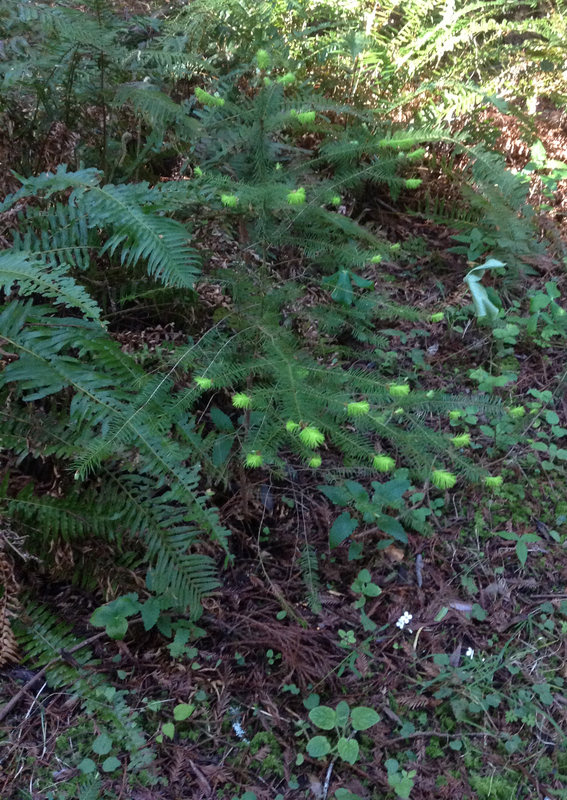 Thank you for setting aside a future seed forest. Previous Previous post: Why Do We Prophesy Our Doom?